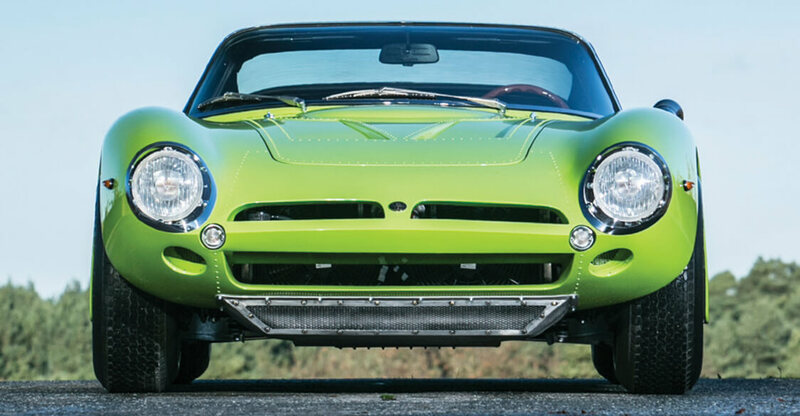 RM Auctions kicks off it’s first European sale of 2015 in Paris tomorrow. After the vast sums raised by RM and it’s rivals in Texas earlier in January, the Paris Retromobile sale will be a very interesting watch. With interest in high value classic cars still on the rise, we can expect to see record sums paid for exceptional cars. Browsing through RM’s very nicely produced catalogue we have selected a few cars that stand out, cars we’d love to invest in and just drive. 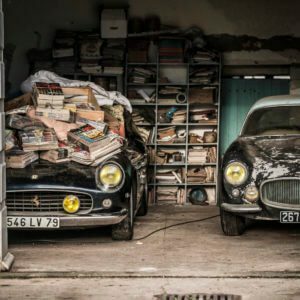 We could go on all day about the rest of the exceptional cars on offer (like the 1963 Ferrari Lusso, 1955 Porsche 356 or the 1939 Alfa Romeo 6C2500). But with great difficulty we’ve narrowed our choices down to the following three cars. There really is little need to go into great detail about the history of the Lancia Stratos due to it’s iconic status. One of the greatest rally cars ever created by Lancia, it’s triumphs on gravel and tarmac were legendary. As was its unpredictable and monstrous nature. It was a true beast of a car that took real courage to drive on the limit. The complete package encompassing the Ferrari V6 Dino engine, stunning Bertone bodywork and Lancia engineering brilliance created an automotive legacy that is still revered to this day. The car on offer from RM is a stunning unmolested survivor with original paint and interior. The bright yellow paint looks superb and only exaggerates the cars insane look. With only one owner and 38,554 kilometres since 1997, this is one of the few that weren’t converted to rally spec. It is still in it’s standard Stradale road setup which is nice to see. 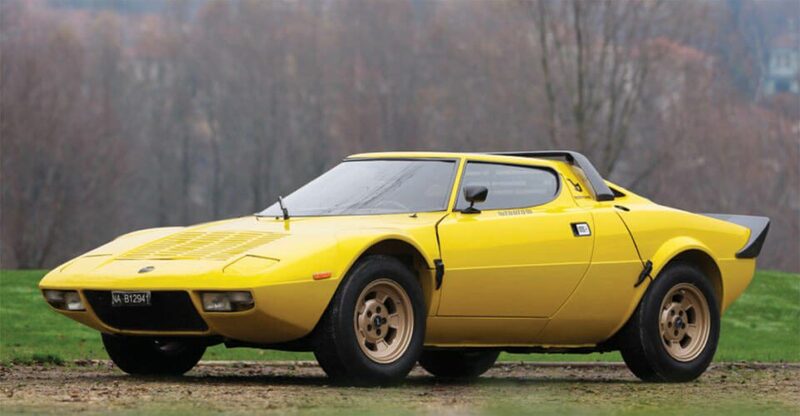 This Lancia Stratos looks great in yellow. 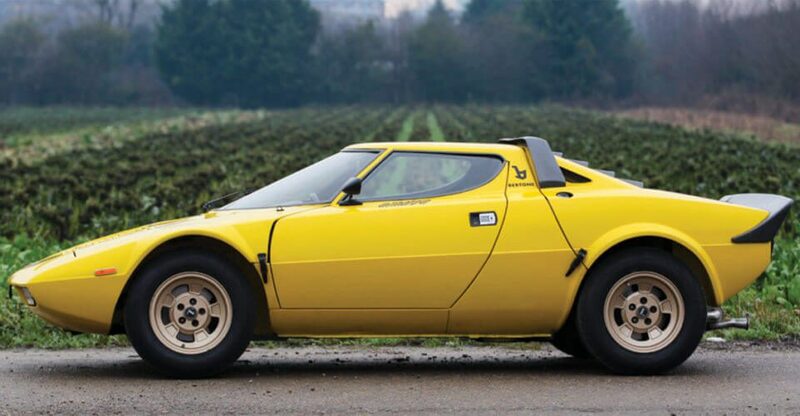 Bertone really made the wedge their own and the Stratos was a superb example of this. There are times you look at a Stratos and think "it shouldn't work!" But it did! 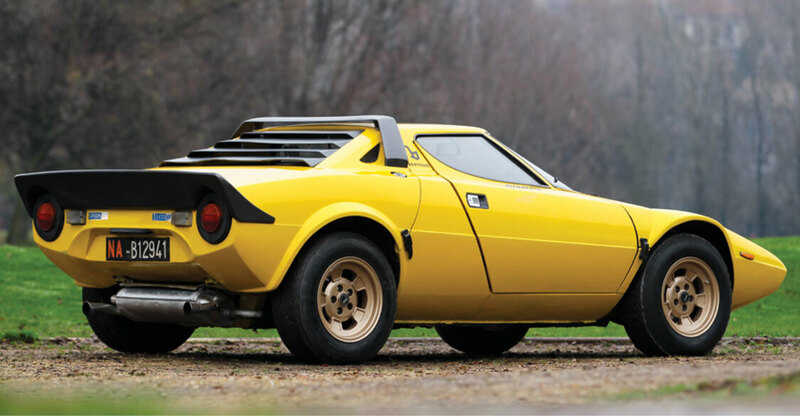 With an estimate of between £275,000 – £355,000 we expect this rare Stratos to easily meet it’s top estimate. And given it’s exceptional condition we believe it should make above £450,000 as examples like this don’t come up too often. 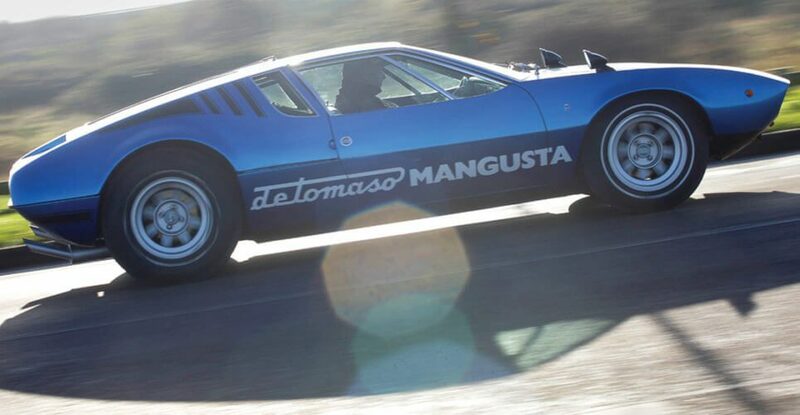 With prices of classic Ferrari’s, Lamborghini’s and Aston Martin’s going through the roof, De Tomaso’s actually look to be good value for money. Mangusta values have started to rise recently but they are still “cheap” compared to the competition. We can understand this in many ways as it’s a car that has always lived with a reputation. It was difficult to drive with a tendency for very twitchy handling when pushed to the limit. And it wasn’t particularly comfortable either. Regardless of it’s faults, it is still a great 1960s super car. I mean just look at it! It’s an aggressive yet stylish looking car that you just know means business. The “ladybird” engine bay covers are superb adding a thoughtful touch to the cars muscular nature, shrouding the big American V8. This particular Mangusta spent 20 years of it’s life as a display car at the Rosso Bianco Museum in Germany. It apparently still wears it’s original factory paint and interior which makes this De Tomaso a rare beast. Another rarity is the 6 headlight arrangement which we have to say looks unusual but actually suits the car. Over all it looks to have been a very well cared for example. We think it looks great, and the blue colour really sets it off. We just love the stance of the Mangusta. It looks mean, aggressive and stylish. Another masterpiece by Giugiaro. With that big Ford 289 V8, it must sound fabulous when you hit the throttle. 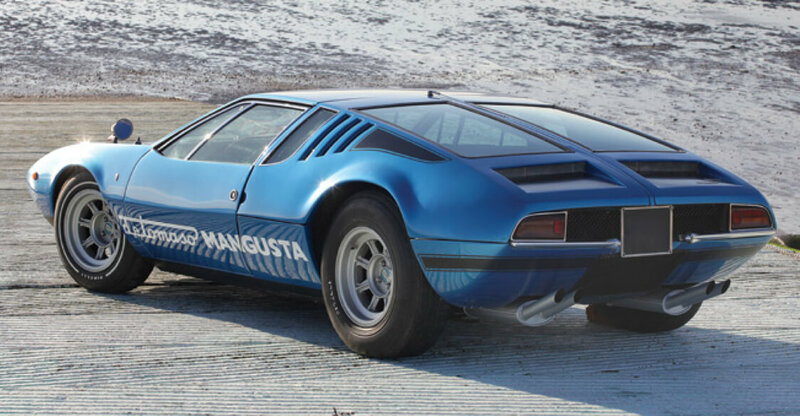 Those exhausts and fat rear tires really set off the Mangusta's rear. 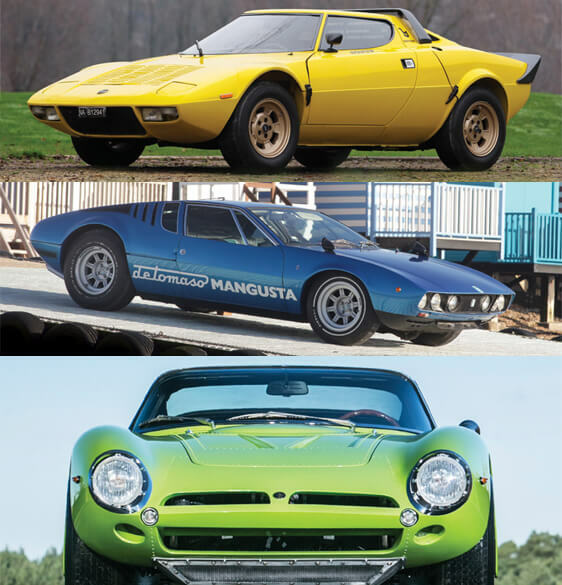 When De Tomaso entered the super car market in the 1960’s, he really meant business and the Mangusta was a real statement of intent. While it is not as good a car as the later Pantera, we still love the Mangusta for it’s look and it’s raw delivery of power. 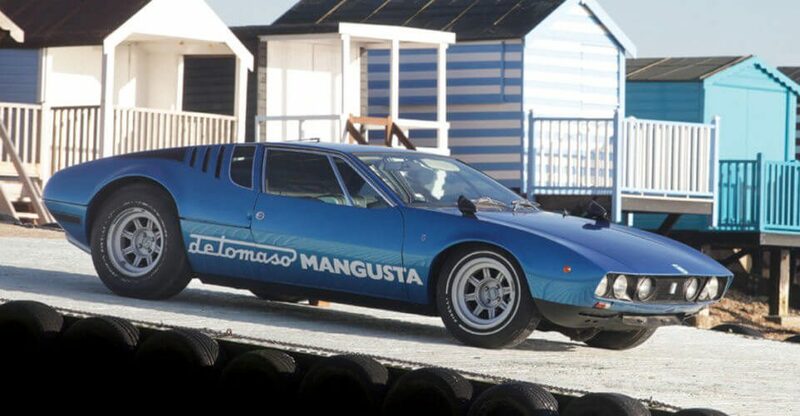 With an estimate of £90,000 – 120,000 the price is a reflection of the current market value for the early De Tomaso. We think the model is undervalued at the moment, so it could prove to be “bargain”, compared to it’s rivals. We have always had a soft spot for Iso cars. They were one of the few firms that perfectly married Italian design with American muscle. Combining the engineering brilliance of Giotto Bizzarrini with the passion of industrialist Renzo Rivolta, Iso managed to great a truly stunning car. With fabulous coachwork by Giugiaro, a reliable Corvette V8 and a race inspired chassis, it looked sensational when it was launched and it still looks sensational to this day. The Iso Grifo offered by RM is a rare A3/C that is believed to be one of only 20 riveted aluminium Drogo-bodied examples. 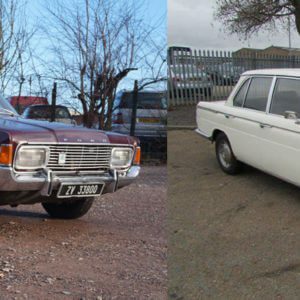 The car went through numerous changes through it’s life before being fully restored in 2012. The restoration process revealed the original rivets in the bodywork and it’s original vibrant green factory paint. All of these had been covered over by previous work in the cars past. It all makes for interesting reading. 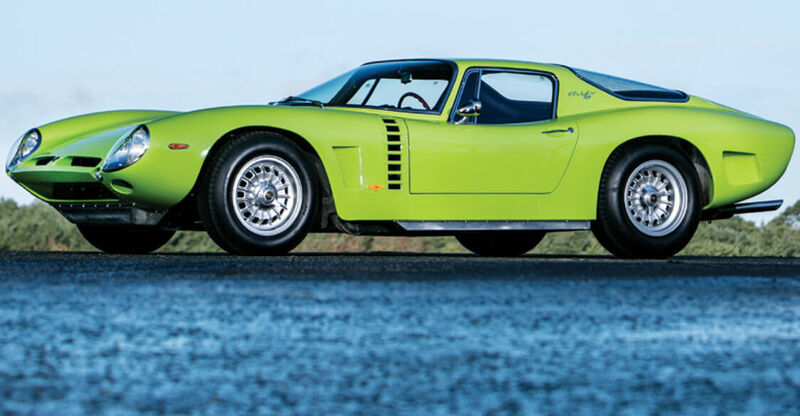 The photos and description indicate that this Grifo has been restored to an exceptional standard which is only fitting for such a rare and stunning car. Hailing from the 1960s the Iso Grifo looks just as good today as when it was launched. The Grifo has to be one of the most purposeful GT cars ever built. The lines of Grifo are just fabulous. 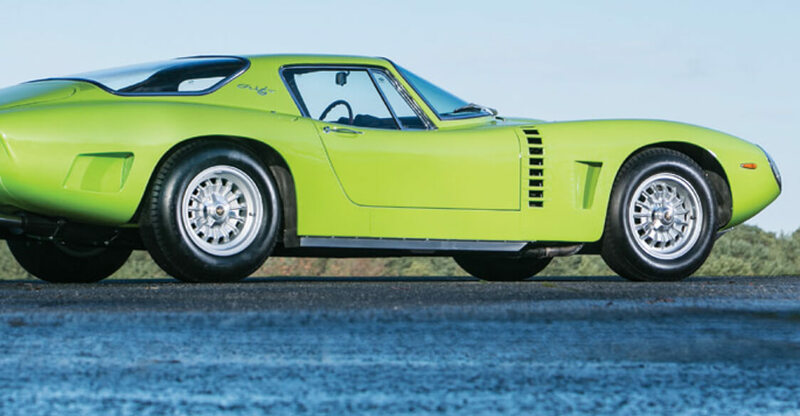 We really love this Iso Grifo. It’s lines and curves are fabulous and the “Apple Green” colour looks surprisingly good on it. Given it’s rarity, the estimated price range of between £785,000 – £1,180,000 is no surprise. If this Iso is as good as the catalogue describes, it should fetch more than £1,300,000. More details about RM Auctions 2015 Paris Retromobile can be found here. And the digital download catalogue can be found here.